Suzanne received a B.S. degree in Clinical Laboratory Science from the University of Mississippi, in 1995, and an M.S. in Biochemistry and Molecular Biology from Mississippi State University, in 2000. She was a medical researcher, until her health conditions prevented her from returning to the lab. While working for Indian Health Services in Alaska, Suzanne was sent to Albuquerque for training. She fell immediately in love with the area and after begging her family; they moved to the arid climate of New Mexico. This gave Suzanne the physical relief she sought. 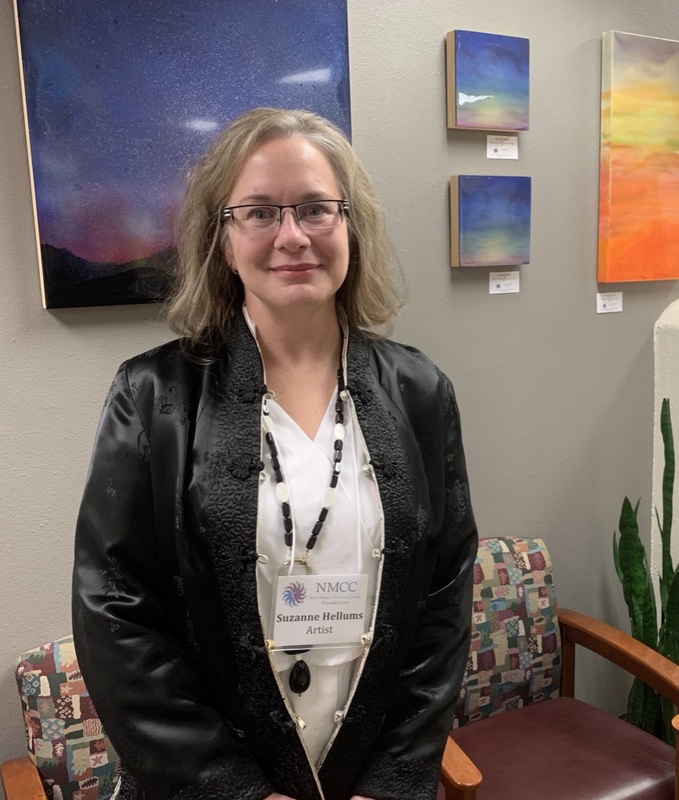 Being in New Mexico has allowed her the opportunity to resume her painting; something she began as a child as a watercolor apprentice, under a mentoring artist. An additional influence on Suzanne’s art is interior design, architecture, and local landscapes. She has lived in diverse locations from California, Tennessee, Pennsylvania, Mississippi, Florida, and Alaska. As a result of moving often, her family has remodeled seven homes. Suzanne’s current home was designed around a particular piece of granite that now makes up the kitchen counter, with earthy tones. Her series, “Granite Inspired", made to mimic the effects of the stone, is currently for sale with ArtLifting. Suzanne attempts to combine the best elements of science and nature. Donning a respirator, gloves, gown, and in a well ventilated, clean room makes Suzanne feel connected to the lab again. Her resin art is inspired by her love of cellular biology.